Once you leave Shark Bay civilization really drops off. The popular campgrounds in this section are really rest areas along the side of the highway. 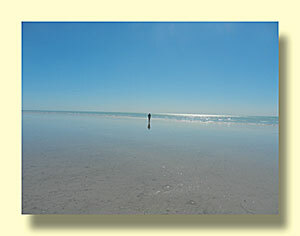 An exception is 80 Mile Beach, a popular campground described below. 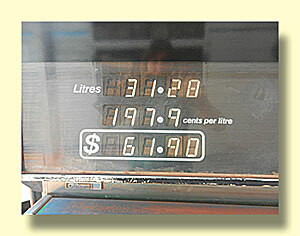 That's the equivalent of $7.82 US per gallon. 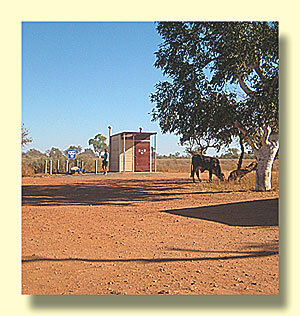 In Australia, especially in areas with few people, travelers often overnight in rest areas. 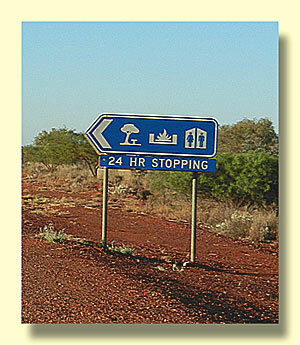 Many of these have signs designating them as 24 hour areas. 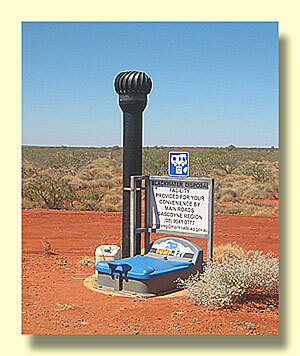 Some have restrooms, some have dump stations, some have non-potable water tanks, and some have none of these things. 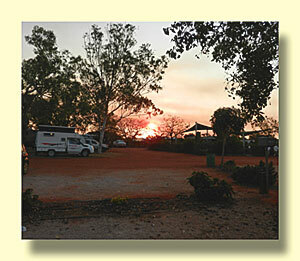 While there are few formal campgrounds in this stretch, there is one that most people seem to visit. Many stay for several days - or the winter season. 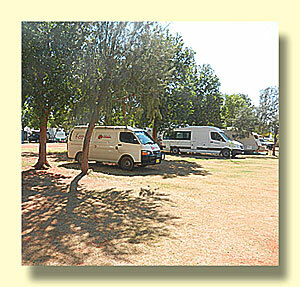 It's called 80 Mile Beach Caravan Park. 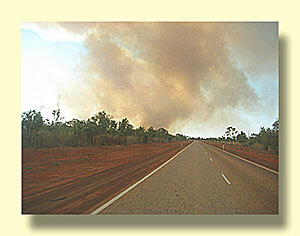 To get there you must drive about 9 km west from the bitumin (paved) highway on a corregated (washboard) dirt road. 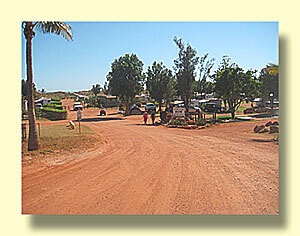 80 Mile Beach Caravan Park website. 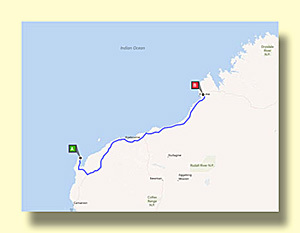 Actually, we didn't make it quite to Broome this week. 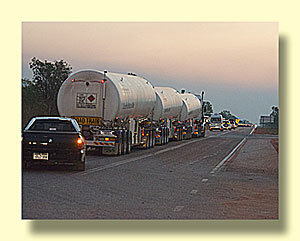 About 100 km south of the town we started to notice that there was no traffice coming from the north. 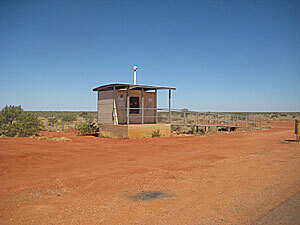 At the Roebuck Roadhouse, just east of Broome, we discovered the reason. Traffic in to town was being stopped because of a brush fire. 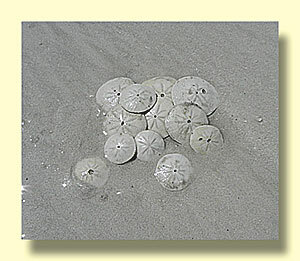 These are common in northern Australia, more about that in a later blog. 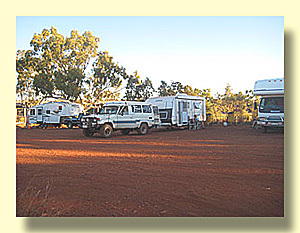 We spent the night at the roadhouse campground, the traffic was released about 7:30 pm. Here's a rig we spotted camped at one of the rest areas. 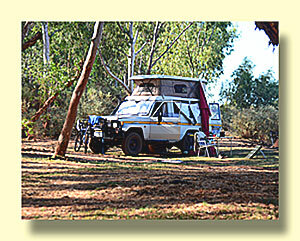 It's small but functional, a great vehicle for traveling those long outback tracks that Australia is famous for. It has a sleeping area in the pop-up roof extension, and an electric referigerator. 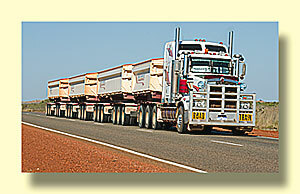 There are no waste tanks, many Australian rigs don't have them. Cooking is on a portable gas stove, inside or out, as you like. Note the portable solar panel set up to the right of the vehicle.